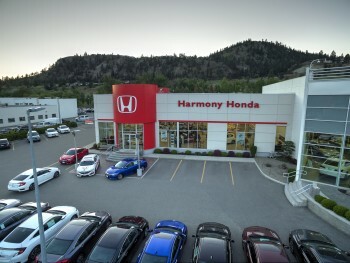 At Harmony Honda, we work every single day to fulfill our commitment to Honda owners, Honda Canada and all those who are thinking of buying or leasing one of our great new Honda vehicles or used cars, SUVs or trucks. And we do that the old fashioned way: by remaining always In Tune With You.We value above all else our reputation and our relationship with our customers and this special community in which we all live and work. Our business has grown year in and year out and shows no sign of letting up and we are certain that our growth is supported by the four pillars of Harmony Honda: Respect, Responsibility, Reliability and Relationship. Add that together with our exciting Honda vehicles and our great service and parts departments, and you have the platform upon which we have built our company.